If you want to watch the video and check out the list of all the supplies used please visit today’s Lily Pad Cards post. Previous Post How about a girly card?! Fabulous card Vicky, and great video, you reminded me to curl my flowers, makes them look so much better…thank you..
Another great video! I love Sundays. 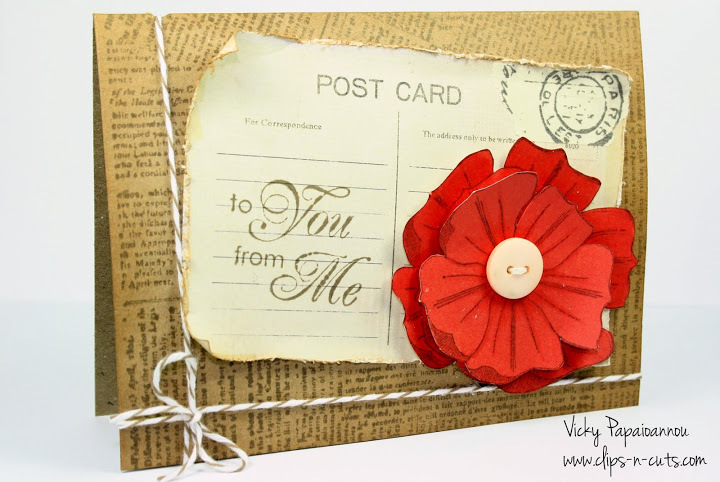 This card has my heart, Vicky — love the vintage look and that brilliant flower. Thanks so much! Beautiful! Love that big, bold red flower! And you changed up your blog header, looks great with all of those colorful paper clips!